Program covers a range of responsibilities. Divided into four courses, the program allows school facilities professionals to develop the knowledge base school districts require in an ever-changing field. There is a mandatory base course, as well as three elective courses, covering maintenance, grounds, and custodial operations. Participants can take all four courses, or opt to take the base course and one of the specializations. 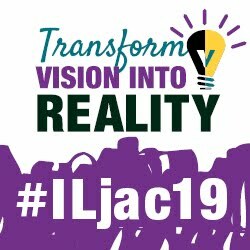 According to Illinois ASBO, “Facility management has changed dramatically over the years to include a wide range of responsibilities – from custodial, maintenance and grounds to legal issues, long-range planning, emergency management, and much more.” The courses will be offered on multiple dates throughout the year. The full curriculum utilizes Good School Maintenance, a book combining the work of dozens of IASB Service Associates firms and other experts, edited by James B. Fritts, and published by IASB. 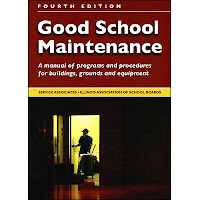 Good School Maintenance has been a bible for thousands of physical plant managers in the four decades since it was first published by the Illinois Association of School Boards in 1976. Now in its fourth edition, this book provides both programs and procedures for taking care of buildings, grounds and equipment. In addition, it provides guidance for policy makers and managers in planning and evaluating their maintenance efforts. “We are excited about this opportunity to work with Illinois ASBO and their new designation program,” said James Russell, IASB associate executive director for communications and production services. “The unique structure of the manual encourages its use as a guide for management and supervisory staff, as a basic training tool in preparing new staff or updating the skills of existing staff, and as a reference source for information. For more information about the new program, visit the Illinois ASBO website. 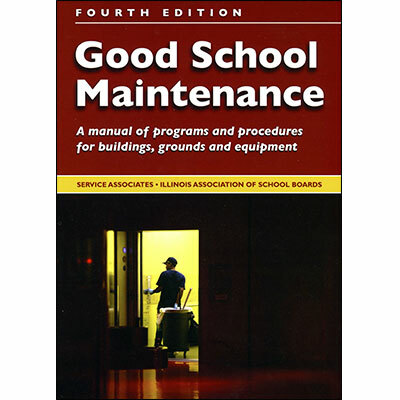 To review or purchase the Good School Maintenance book, visit the IASB bookstore.